An inspiring and dramatically paced introduction to the Prophet and Founder of the Baha'i Faith, The Story of Baha'u'llah presents in a clear narrative style the life of the Prophet from His birth into a wealthy and noble family, through His transforming spiritual experience while incarcerated in the infamous Black Pit of Tehran, and over the decades of harsh and increasingly remote exile that followed. 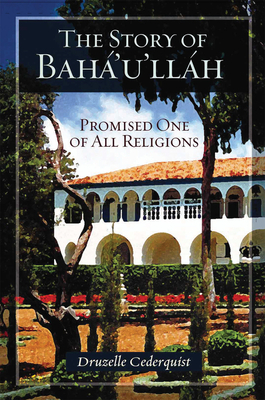 Woven into the story are Baha'u'llah's principal teachings and references to historical events and persons that place the development of the new religion in a global context. In addition, The life of the Bab and the dramatic events of the Dawnbreaker era are a major part of the first portion of the book. Druzelle Cederquist has a B.A. in English Literature and an M.A. in Teaching English as a Second Language. She has published a variety of essays and poetry in magazines and online, and has facilitated a number of writers' workshops. She has two grown sons and currently lives in Austin, Texas.